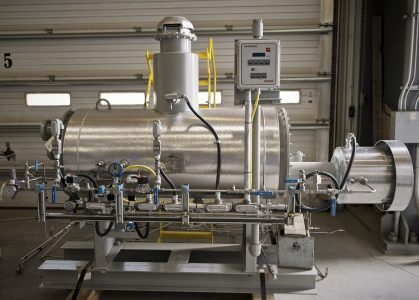 ALCO Gas & Oil Production Equipment Ltd. designs and manufactures oil and gas processing equipment for both the Canadian and International marketplace. Product lines cover surface production equipment from wellhead to pipe line. 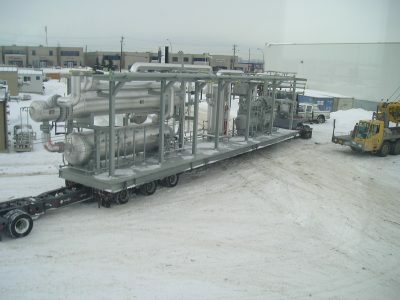 ALCO specializes in packaged equipment, ranging from single skid units to interconnected multiple skid modules for larger gas processing plants and petrochemical systems. 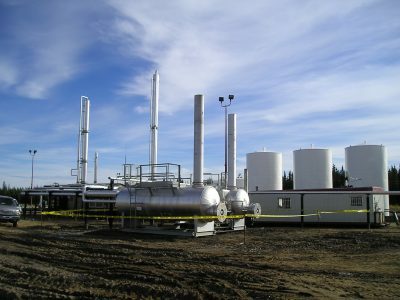 Formed in 1972, ALCO Gas & Oil Production Equipment LP is a privately owned Canadian corporation that designs and manufactures gas and oil processing equipment for both the Canadian and International marketplace. 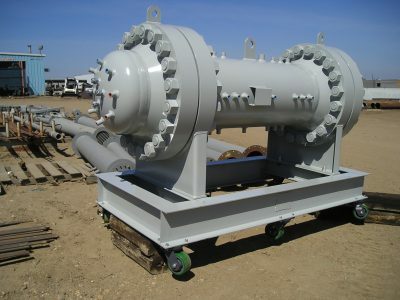 Product lines cover surface production equipment from wellhead to pipe line. 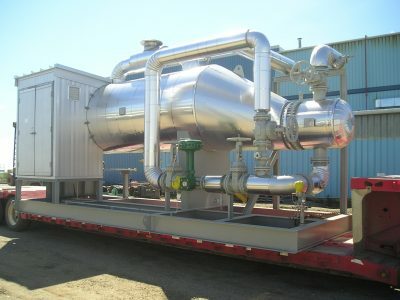 ALCO specializes in packaged process equipment ranging from small skid mounted units to inter-connected multiple module units for larger gas processing plants and petrochemical systems. 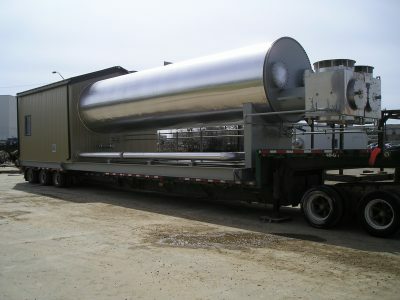 Over the years, ALCO Gas & Oil has designed and fabricated over 8,000 production and process packages. 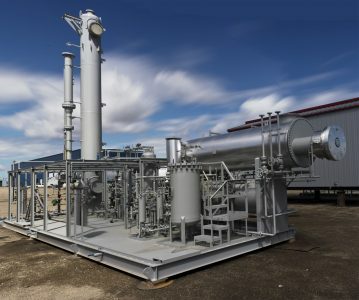 ALCO’s extensive in house experience has allowed ALCO to become a world class organization that can offer solutions to virtually any gas processing need for customers around the world. ALCO’s first class reputation is based on past performance. ALCO’s goal is to exceed past performance. ALCO’s 32 acre plant-site includes shops dedicated to module assembly, pressure vessel fabrication, pipe spool welding and structural steel fabrication all to enable ALCO to construct a wide variety of oil and natural gas processing plants. From wellsite production equipment to central processing facilities ALCO is ready to serve all of it’s customers. ALCO employs a skilled and dedicated workforce consisting of pressure/structural welders, instrumentation technicians, electricians and assembly specialists. As work flows cycle, ALCO human resources group draws on local and international labour pools as necessary to accommodate all of our customer’s requirements. ALCO is firmly established in steel construction and constantly ensures that the right skill set is on the floor to adequately manage any and all incoming work. ALCO’s hook-up and assembly shop is a state-of-the art building that is designed with efficiency in mind. With an under-hook height of 45 feet, ALCO can assemble almost any size of modularized oil and gas plant. Just like ALCO’s vessel fabrication facilities, this shop has its own skilled work force that is committed to producing a top-quality product. Pipe spooling is completed in a dedicated workshop shop and is manufactured according to the requirements of ASME B31.1 and 31.3. ALCO performs on-site stress relieving for all vessels and pipe spooling. 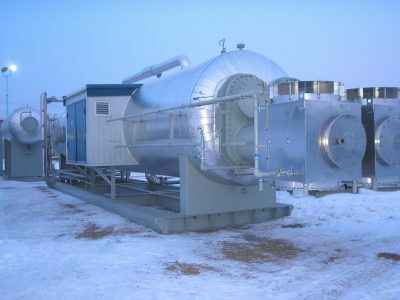 This ultra-modern PWHT furnace is comprised of two (2) – 12’ wide x 12’ high x 40’ long sections that can be operated individually, or combined as one 80’ long unit. Each furnace section has two burner assemblies fitted with 3HP medium velocity blower at 1400CFM. The furnace temperatures are monitored using thermos electric recorder that displays the temperature of each thermocouple. Performance of the furnace is verified and regularly calibrated to ensure reliable results in strict accordance with the requirements of CSA B149.3 and is CSA. ALCO’s state-of-the-art assembly shop spans 44,000 sq. ft. and includes eight (8) overhead cranes totaling 200 tonne capacity with 44’ under the hook height. This shop consists of six (6) 26’ wide doors, one (1) 24’ door, two (2) 16’ doors, and one (1) 57’ wide full height swing door. ALCO’s pressure vessel and HEX facility spans 49,000 sq. ft. and includes six (6) overhead cranes ranging in capacity from 10 tons to 22.5 tons complete with twenty-eight (28) 1ton jib cranes to support fabrication. ALCO’s pipe spooling facility spans 11,000 sq. ft. and includes seven (7) overhead cranes (5 – 10 tons). This facility also includes eight (8) individual bays each with it’s own access door (12’ -16’ wide). ALCO’s reboiler/heater fabrication facility spans 17,000 sq. ft. and includes six (6) overhead cranes to support fabrication. ALCO’s office area is 11,000 sq. ft. and is conveniently located adjacent to the fabrication facilities to ensure close communications between the fabrication and engineering.